Our Madison and Vermont range of shutters are made from the finest Basswood. We also have the Nevada range made of HSPVC available which emulates real wood. Nevada - Manufactured from HS PVC Polyvinyl (Faux Wood) offering 3 blade sizes: 63mm, 89mm & 114mm. Hampton - Manufactured from HS PVC Polyvinyl (Faux Wood) offering 3 blade sizes: 63mm, 76mm & 89mm. 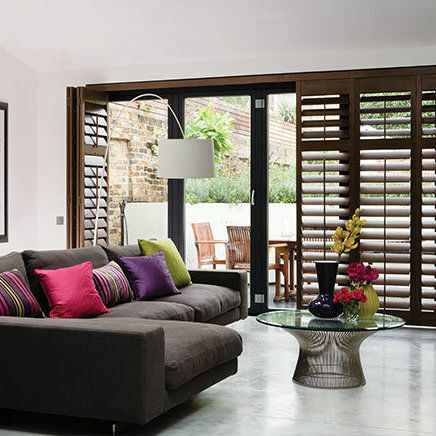 Call us now to discuss the perfect shutters for your home.